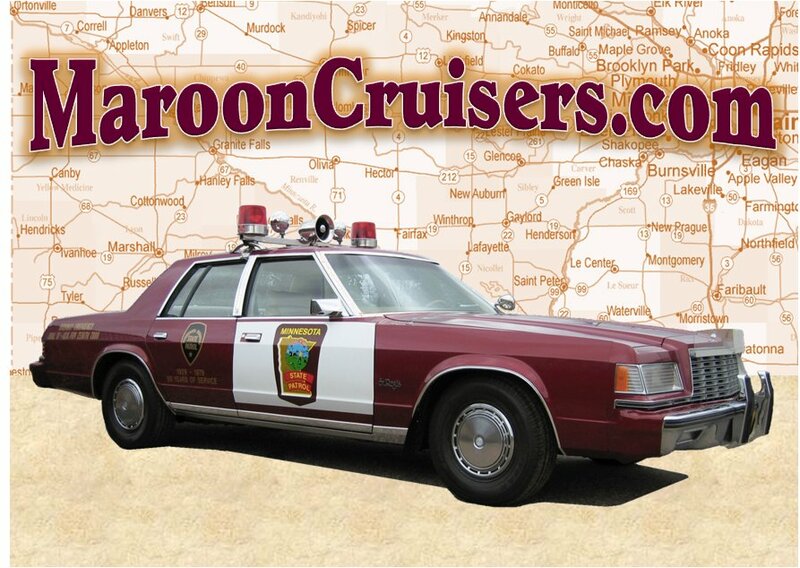 Welcome to MaroonCruisers.com, the only Website dedicated to the history and preservation of Minnesota State Patrol cars from 1929 to present. ​Contained in these pages is a variety of photographs, basic specifications, and some historical information about the Minnesota State Patrol. This is a privately owned Website and does not necessarily reflect the opinions of the Minnesota State Patrol. It is, however, constructed with the utmost respect to the agency and the men and women who have used these vehicles in performance of their duties. ​We are always seeking photographs to expand and provide more information and examples. If you have any photos you would like to share, please contact us. ​Please sit back, relax, and enjoy MaroonCruisers.com.